The mother-daughter relationship is both beautiful and complicated. Today, I am proud to say that my mom is not just a great adviser and trusted confidant in my life, but she is also my friend. Our relationship hasn’t always been long conversations, all day shopping dates, and mother-daughter trips. Seven years ago, one of the most devastating seasons of our family’s life turned out to be the very thing we needed to bring our relationship back to life. I spent the majority of my childhood and teen years speaking hateful words to my mom. I did not get along with her. I am a free spirit and she is very orderly. Every time I tried to grow or do something unique, I felt she dismissed me. I felt like she wasn’t proud of me, so why keep trying to make someone who hurt me so much happy? When I was seven, I told her I hated her and switched her eye drops and nasal spray, which is very dangerous. Don’t worry, I was severely punished for my crime. My birthday party that was days away was canceled, and all of my dolls were taken away for almost a year. However, my attitude of hatred and disrespect continued to grow. Even after I apologized for my words from my childhood, she seemed to keep holding them over my head; I had no hope that our relationship would ever be healthy. One of the most devastating seasons of our family’s life turned out to be the very thing we needed to bring our relationship back to life. I wish I could tell you that healing from mother-daughter drama, miscommunication, and damaging words is easy. It hasn’t been a simple process, but I’ll never regret putting in the time to restore my relationship with my mom. Ultimately it took losing a loved one to wake me up and help me realize that I don’t know how long I have with my mom, and I didn’t want to spend any more time letting festering hurts ruin my relationship with her. If you struggle in your relationship with your mother too, I would like to encourage you to try and work through it. Here are my top three tips to start healing and moving forward from mother-daughter drama. All of these suggestions are needed on both sides—mother to daughter and daughter to mother. I know this isn’t going to sit well with some moms out there, but you need to respect your daughter. I am very different from my mom. I am an artistic, free-spirited soul and she is an organized math-loving human. Respecting those differences and choosing to celebrate them and encourage them goes a long way. Do not put each other down, even if your daughter has done something wrong. Make sure she knows it was her action that was wrong, and that she herself as a human being is not a mistake. Daughters, even when you feel misunderstood or put down, voice your hurts in a kind tone. The best way for me to respect my mother is to open up to her and be honest about my hurt. It helps to put a stop to miscommunication before a big wall is built for no good reason. It hasn’t been an easy process, but I’ll never regret putting in the time to restore my relationship with my mom. 2. Have patience; everything will not be “fixed” in one day. Do not try to “fix” everything in one day; it is not possible. My mom and I used to go around and around in circles, going back to my seven-year-old hatred and my teenage angst; it was exhausting and didn’t solve anything. It only caused more pain. You can’t take back what has been said or done in the past. Part of moving forward is realizing that what has happened doesn’t have to define what your relationship is going to be in the future. 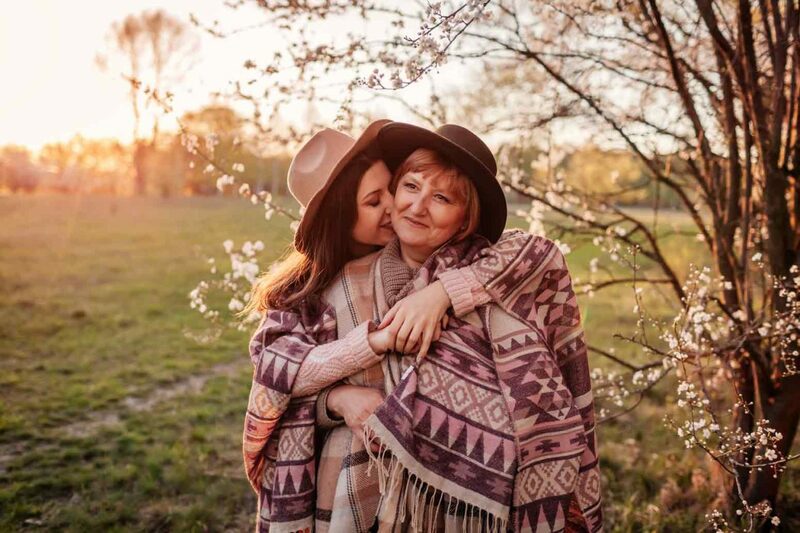 Choosing to forgive the past while examining the roots of hurt feelings and mother-daughter drama will help build a stronger foundation, and that takes time. Example, one of my mom’s top love languages is words of affirmation. Continually hitting her with my hateful words was not just hurting her but breaking her heart. My words matter and knowing that root has helped me control my tongue and step back when I am feeling hot-headed. Take on one root at a time, and embrace the time it takes to go on the journey of healing your relationship. 3. Have the hard conversations. Don’t be afraid of the hard conversations. Just because everything will not be “fixed” in one day, doesn’t mean you get a free pass on having hard conversations. Dig deep to the roots and have those hard conversations. Cry. Allow each other to share and don’t interrupt each other. When I am in a mood, I’m the queen of interrupting my mom and it makes her mad, which doesn’t help anything. Listen to each other completely, even if that means not saying anything at all and just letting the other person say what they need to say. It can be hard to hear, but in the long run, it helps each of you grow together and know how to move forward. Bonus tip: have fun together! This is awkward at first but start doing things together. Go shopping. Hit the movies. Craft together. Take on a house project. Start doing things together. A big moment for me and my mom was going on a mission trip together. My dad actually told us to go and “fix” our problems. While the trip didn’t “fix” us, it was a seed that bloomed years after it was planted. Years later, we painted my room together. A couple of years ago we went and got our nails done every month. Find something to do together and start to enjoy each other’s company. You can start building a stronger relationship today one discussion, act of respect, and fun activity at a time. Your mother-daughter relationship can be healed and made new as you start to prune away the dead branches and make way for the new fruit. Your relationship is worth the time it takes to heal mutually and build a firm foundation. Time together is fleeting; the time to heal and strengthen your relationship is now. Don’t wait.